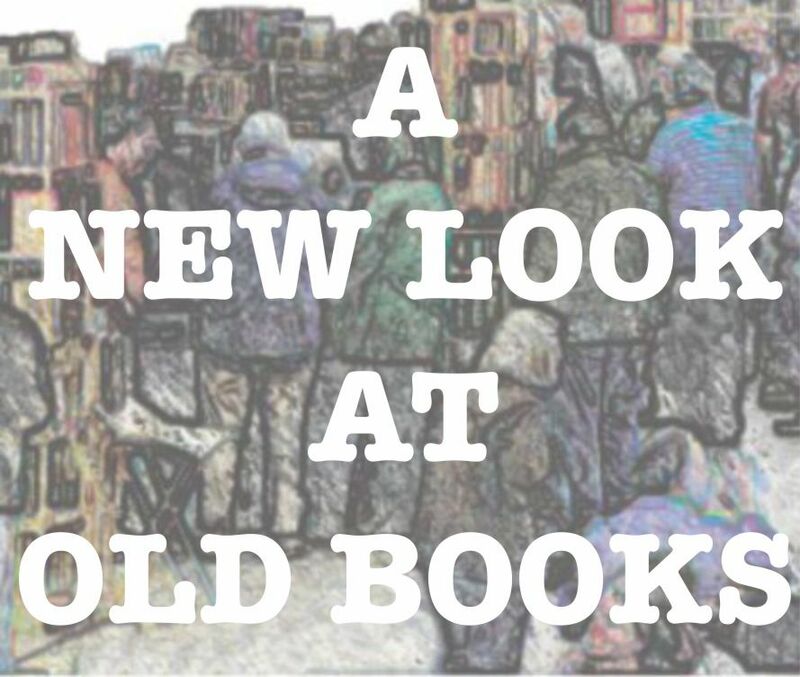 What do Christmas and rare vintage books have in common? The answer is …the famous first edition of the Charles Dickens book – A Christmas Carol. This immortal novel written by Charles Dickens is easily one of the most loved Christmas stories ever written, while the scarcity of its first edition has given some fortunate book collectors a holiday to celebrate. Very few people on this planet have never heard of the renowned Charles Dickens or of his A Christmas Carol. Charles Dickens was born at Landport, UK, on February 7th, 1812. After facing financial difficulties Dickens’ family moved to London in 1822. Shortly afterwards, in 1824, the family sent the then 12-year old Charles to a boarding house. However, Dickens soon left school to work 10 hours a day to support his struggling family. The harsh and cruel working conditions that Dickens had to face, greatly affected him. As a result he strove to make the injustice of these unacceptable and inhuman working conditions clear through his work to inspire the change towards a better working life. Charles Dickens wrote his first story, A Dinner at Poplar Walk, in 1833 which he soon followed with Oliver Twist between the years 1837-39, Nicholas Nickleby between1838-39, and many others. From 1833 all the way up to his death on June 9, 1870, Dickens wrote a great deal of novels and saw most of his works get published. The famous novella A Christmas Carol was first published by Chapman and Hall on December 19th 1843. The book was written during depressing times in England, where the Christmas spirit had nearly been forgotten by many. Dickens hoped to rekindle the true Christmas spirit through the novel, with the portrayal of the cynical and stingy Ebenezer Scrooge and the changes he transitioned from in Christmases of his past, present and future. Dickens started writing the novel, A Christmas Carol, in October 1843 and within six weeks, it was completed. Despite numerous obstacles with the book’s publication process, it was completed two days prior to its scheduled release date of December 19, 1943. The published book was an object of beauty, as it was bound in red cloth and filled with illustrations by John Leech. The book was priced at a scant 5 shillings, and was a raging success. The 6000 copies of the first edition actually ran out by Christmas Eve. By May of 1844 the book was already in its 7th edition, with increasing demand from the United States and receiving great reviews in the New York Times. For a book collector, the first edition of the book is the ultimate possession to seek after. As expected pricing for first editions of this famous book is no bargain. Two copies of the first edition were sold in an auction in 2005 for the price of 15,000 USD. Surprisingly, neither of the two copies was in a very good condition. Currently, copies of this remarkable book are being sold by antiquarian and rare book sellers for anywhere from 19,000 to 40,000 USD depending on condition, unique attributes, seller geographic location, and so forth. Inscribed presentation copies are reaching an even higher price range. In 1997 a copy which was inscribed to the British humorist and poet Thomas Hood, was sold for 50,000 USD. A year later, in 1998, a first edition copy inscribed to Walter Savage Landor, an English writer and poet, was sold for the astronomical amount of 160,000.The big difference in price is justified by the factors of condition and importance of association. More recently, a year ago, on October 28 2010, at a Sotheby’s auction in London UK, another copy sold at the astounding price of 181,250 GBP or 282,408. This copy was inscribed to Dickens’ good friend William Macready, a known British actor, and was dated and signed on New Year’s Day of 1844. This represents a 75% jump, within a 12 year timeframe from the previous sale of the comparable copy. In the end, A Christmas Carol, has proven that a 5 shilling ( equivalent of 25 USD in today’s money ) investment in a rare and extraordinary legendary vintage book, can be worth between 20-40K USD, while an inscribed copy can reach 280K USD or more. But even more importantly, Charles Dickens has proven through the character of Ebenezer Scrooge that the true Christmas spirit is reached by an act of giving. Any information would be interesting – thank-you ! Elbert Hubbard influenced by the ideas of William Morris formed part of the Arts and Crafts movement in the USA. by creating a reformist community of craft workers and artists in the village of East Aurora, Erie County, New York. The book is quite common. Hello, I have a 1920 hard-cover copy of Charles Dickens’ A Christmas Carol, with red cover and gold edges on the pages. Inside, there is a note, saying that it is a reproduction by Atlantic Monthly Press, Boston. Some of the illustrations are in color, and are by John Leech. Can you please tell me if this edition has any value? You are probably referring to the Charles E. Lauriat edition with four full page color illustrations after Leech. Estimated value $30-$75. I have a pocket size book “Christmas with dickens” in a brown leather cover, illustrated by Chas pears. I think published by London & Glasgow clear type press. Any thoughts on what the value would be. Also has date given as gift as June 1920. Thank you. I am interested in a pocket sized version. How much are you asking if I may inquire. The Hodder & Stoughton publication of “A Christmas Carol” published circa 1910-20, is selling around $50-$100. We have 1902 green suede copy of A Christmas Carol with tissue paper still intact over pictures. Can anyone tell me if this book has any value? I also have the 1902 green A Christmas Carol with tissue paper still intact over pictures. was wondering if its worth keeping? Lake English Classics, general editor perhaps. I have a ‘A Christmas Carol’ book, it says it’s a pocket edition, has no date in it. It is a navy blue and just has the title simply written on the front. I also have the original box sleeve it slides in. It’s been in the family as long as I can remember and I am having trouble finding any info on it. Anything you might know would be appreciated! My father has a Vest-Pocket series book, “A Christmas Carol”, illustrated, copyright 1868. It’s green, published by James R. Osgood & Co., Boston. Copyright 1876 by Ticknor & Fields. University Press, Welch, Bigelow & Co., Cambridge. How can I find out its worth? Thanks. We have a very small ( 2.75 “x 4 ” approx.) Orange suede bound copy of Charles Dickens A Christmas Carol by a company called Ward Lock & CO, Limited London, Melbourne and Toronto – Preface C.D 1843 – 192 Pages – Gold Lined Pages – Gold Stamped on Spine. Any information on this or a worth of value ? Hello there I have 6 Charles Dickens pictures that are all different people and are not the Christmas carol. They look original and have the writing on the back. On the front right on the bottom of each has a name on it. Are these worth anything? Any help would be great. I have a green suede copy w silver embossed cover of holly and ivy. Only date is 1843 in roman numerals. 4 colored pics and 4 black and white. Red and blue type on inside title page. Two pages of Dickens advertisements after page 166. Help appreciated! I have a brown suede copy with a small purple square in the middle of the book with a Christmas Carol printed on it. It shows copyright in 1932 by Walter J. Black, Inc printed in the USA. Can someone tell me if this is worth anything. Thanks for your time. Also the book is 6 1/4 long and 4 inches wide. Pocket book. Please send me the value of this red leatherette 4*7 published by Award books 1843. I have 2 book by Charles Dickens –Beige A Christmas Carol. One dated 1914, the other 1893. Are they worth anything? Thank you. I have a #57 Riverside Literature Series, “A Christmas Carol by Charles Dickens” with a Biographical sketch and notes and was loos to be a signature. It is a paperback Houghton Mufflin company copyrighted in 1893 and again in 1913. Would this be worth anything? I have a hard back copy of Christmas Carol copyright 1901 by H. m. Caldwell Co. Decent shape is it worth anything? I have “A Christmas Carol” 1893 Riverside Literature Series Number 57. Paperback? I have a book y CharlesE MMaynards EnglishClassic Series Christmas Carol Dickens DickensNew York Harles E Merrill Co. Copyright 1910 by Charles Merrill Co. Is this important to open and does it have any value? Hi I have a Roycroft 1902 A Christmas Carol signed by Elbert Hubbard # 13 of 100 copies. The spine has never been fully opened, it is still in the original box with tissue and tissue over the picture of Dickens. It is red Moroccan leather and marble. The box is of matching marble. Was wondering what it is worth. Saw some for sale but they had wear for $1750.00 and they did not come with the box. I have Huckleberry Finn vintage book but no year of edition on it. How do I find that? We have a Charles Dickens A Christmas Carol, tenth edition, published in 1844. Great condition. How much do you think it’s worth? It’s also a bright red hard cover with gold writing. I have a very old small hard back cover of “A Christmas Carol” book by Charles Dickens that pre-dates 1897. Illustrated by Frederick Simpson Coburn, published by “The Platt & Peck Co.” 226 pages with 31 illustrations. The cover has an illustration of Tiny Tim walking with who I believe is either Kratchit or Scrooge holding a bouquet of flowers. No publishing date, but based on what’s written on the inside, “Ruby from Nell 1896″, it must be at least that old if not older. I searched the Internet for the book with that cover and couldn’t find one, so I’m thinking that it might be a rare find. It’s a little beat up, but still usable. I’m wondering if it IS rare and if so, just how rare and its approximate worth to a collector. I have a 1909 hard back copy from Micmillans pockets classics of Dickens a Christmas Carol. Any information about it would be super. Thank you. I have a very nice copy of Charles Dickens “A Christmas Carol” This book fits in it’s box , published by the Dodge Publishing Company of New York. I believe the book was published in 1915. I don’t find any other copies of this book anywhere? Does anyone know what it’s value is? Hi I have a Charles Dickens 1863 first edition titled “Christmas Books” with 5 pen and ink original drawings. We think it was by Dickens’ illustrator. 1/3 of the spine leather binding is missing. I have a dickens christmas carol book, limited edition of only 150, published by Bigelow brown of new york, any idea of value?